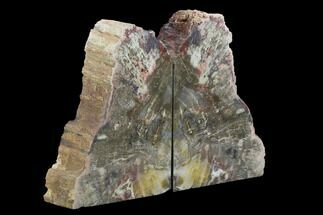 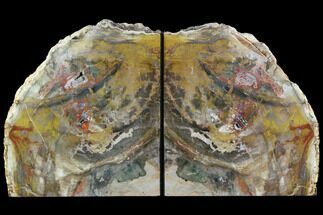 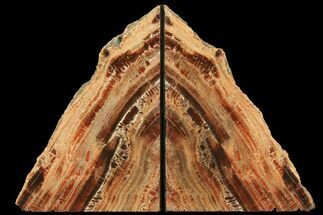 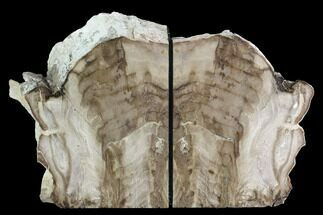 This is a very unique pair of bookends made from jasper replaced petrified wood from Marston Ranch near Ashwood, Oregon. 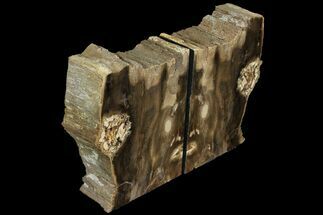 This petrified wood is often referred to "bog wood" as it's thought to be a bog layer in a swamp that was covered over and petrified. 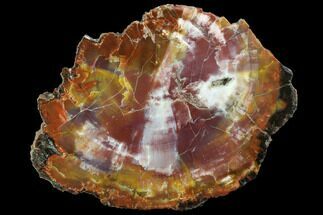 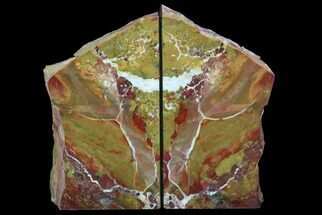 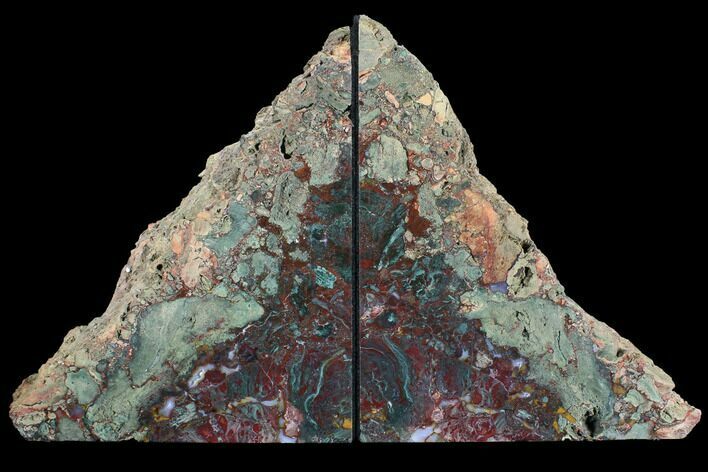 The jasper replacement leaves a beautiful coloration with hues of reds, greens and blues but unfortunately destroys the detail that would allow for the type of tree to be identified. 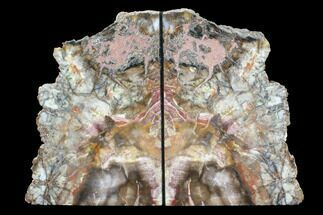 Each bookend in the pair weighs approximately 4.6 lbs and is 8.7" tall by 7.2" wide and 1.7" thick. 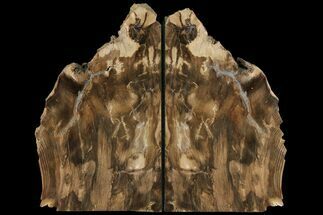 The outside face has been highly polished to a mirror finish and the edges lined with felt.